Commuting from Davis to Sacramento or zipping to San Francisco for the day has never been quite like this. The 2017 Honda CR-V- is the perfect combination for everyday living in SoCal. If you need a company vehicle, the CR-V has the dependability you need. For a family hauler, it’s spacious enough for the whole crew. And if daily driving is the norm, its powertrain is among the most efficient you’ll find anywhere. A complete redesign kicks off in the 2017 model year. 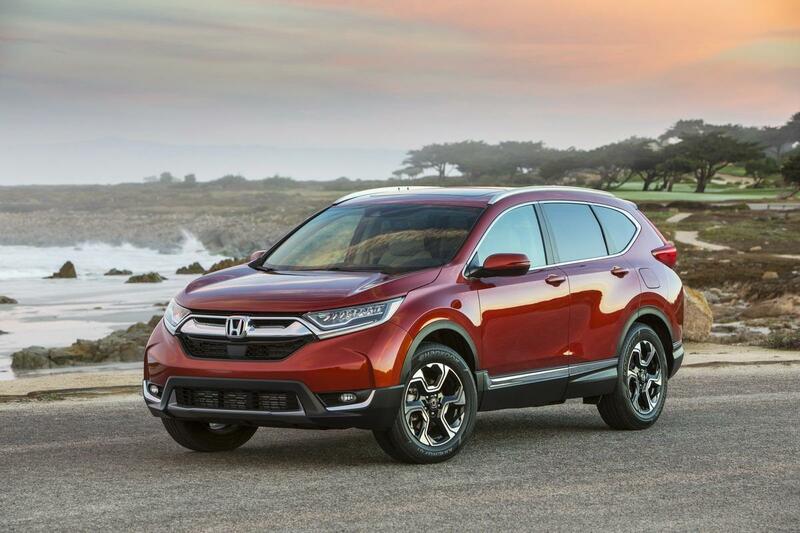 The bold, sporty 2017 Honda CR-V has a more aggressive appearance. Sharp lines highlight the chrome front grille insert and the high window beltline makes the CR-V look sleek and confident. Stunning alloy wheels are standard equipment at every trim level – 17-inch for the LX and 18-inch wheels for the EX, EX-L and Touring. Inside, the CR-V is totally redesigned. From the driver’s seat, it resembles a cockpit. All the controls are driver-centric including the full-color Multi-Information Display cluster. The dash-mounted shifter creates a wide-open area between the front seats, which is converted into usable space. The 2017 Honda CR-V has more standard and available features than ever before. •	The entry-level CR-V LX comes standard with automatic climate control, rearview camera, power windows and door locks, cruise control, and an audio system that integrates Bluetooth HandsFreeLink and audio streaming. •	A step up to the 2017 Honda CR-V EX adds auto on-off headlights, fog lights, Smart Entry, power moonroof, dual-zone automatic climate control, and walk-away auto-locks with push-button start. The CR-V EX also features a 7-inch Display Audio system inlaid perfectly high on the dash, incorporating HondaLink, Apple CarPlay and Android Audio. •	The Honda CR-V EX-L goes a step further. It receives a power liftgate with programmable height, HomeLink, and a leather-trimmed interior. •	At the top of the scale is the CR-V Touring. Auto high-beam headlights are standard as are roof rails, rain-sensing wipers are included, the power liftgate is hands-free, the Display Audio sound system is 330 watts total, and navigation is standard equipment. In the 2017 Honda CR-V LX, the engine is a naturally-aspirated 2.4-liter inline-4 with 184 horsepower and 180 lb-ft of torque. That’s plenty to make the CR-V fun to drive day in and day out. The CR-V EX, EX-L, and Touring editions utilize a 1.5-liter turbocharged inline-4 with 190 horsepower and 179 lb-ft of torque. While the power is close to the LX trim, the turbocharged engine has better fuel efficiency, plus who doesn’t love the sound of a turbo? Regardless which trim level you choose, the 2017 Honda CR-V has the safety features you want. Each one has Vehicle Stability Assist with Traction Control, ABS brakes, Tire Pressure Monitoring and more. On all but the LX trim, Collision Mitigation Braking System and Road Departure Mitigation keep you where you’re supposed to be – on the road. That’s part of the Honda Sensing Package, which also includes Adaptive Cruise Control and Blind Spot Monitoring. You can’t go wrong when you choose the 2017 Honda CR-V in Davis. And when you’re ready for your new Honda CR-V, the best choice in Davis and the surrounding areas of Southern California is Mel Rapton Honda. It’s here you’ll find great deals and top-rated customer service on every visit!